Watch out for the new donut chain in town! 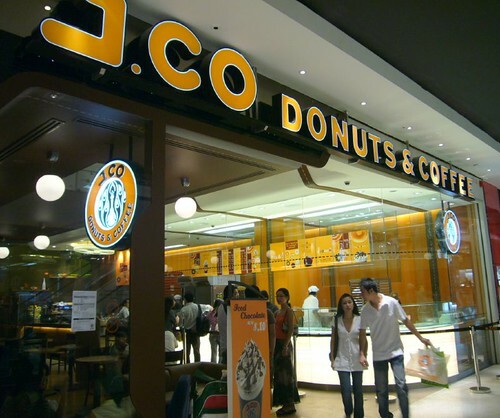 J.Co is quietly going on a growth tear where the perpetual line never dries up. I was delighted when Sid told me that the PR & Promotion Executive, Miss Intan invited us floggers to know more about how J.Co has come along. Spare me some time for a historical review, will you? 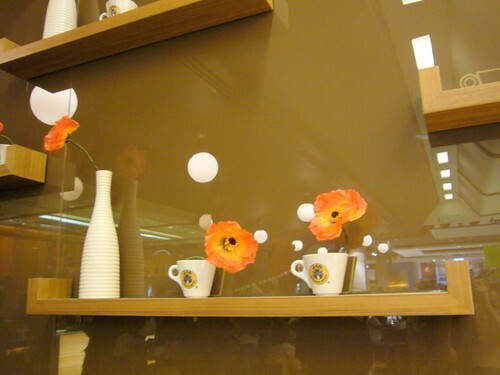 The Managing Director, Johnny Andrean, a renowned hair stylist in Indonesia is a big donuts fan. 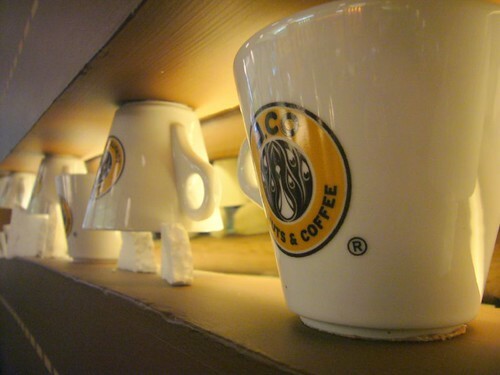 It has motivated him to open up the first J.Co outlet in Indonesia at June 26. 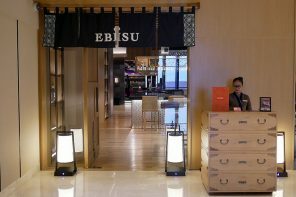 As per day, there are 26 outlets throughout Indonesia and it has been expanding abroad to Bukit Bintang Malaysia, soon at Sunway Pyramid Malaysia and Singapore. 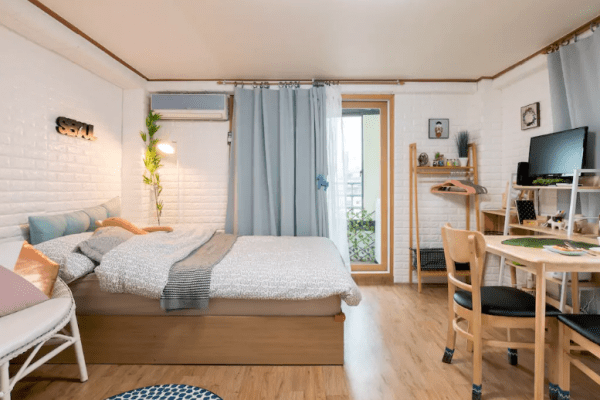 Every outlet has different design and ambiance where the Pavillion outlet is more to the hip and hype type with denim and leather as the main concept with jeans button lighting design, custom made denim lounge and some really cute story board table. The main attraction here is clearly the impressive vertical dotted line resembling zips and the long array of J.Co cuppies. 1. First, the imported special premix is mixed and thawed for two hours until it blends well to form a dough. It is then bake in the oven before it is shaped into individual donuts shape – normal, round and crown, using a donut cutter. 3. In a blink of eyes, the donuts are taken out from the chiller and they will stay at the room temperature for 5 minutes before they were deep fried in sunflower oil. 4. The final step would be glacing and filling. When the donuts have cooled, dip each top surface into the glaze and then flip over and cool on a tray. Most filling work are done by machine but softer filling such as vanilla and tiramisu are done manually. 5. J.Co is very stringent on their Quality Control where every donuts dough must weight the same and any glacing or topping work gone haywire will be thrown away. 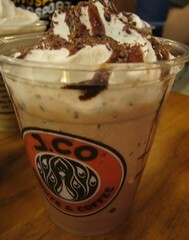 J.Co’s coffee is a blend of 5 origins: Brazil, Venezuela, Costa Rica, Bolivia, and Indonesia. All were roasted, packed and aired to its respective store together to give you the distinctive flavour of the combination. 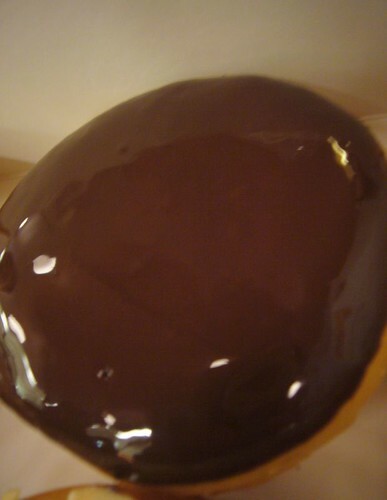 Glazzy is one of the most famous donut in J.CO. It is glazed with American honey while it is still hot. 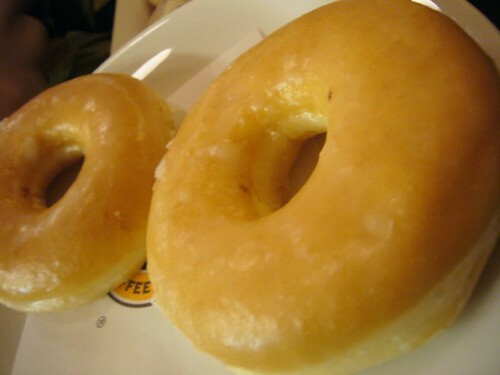 The honey glaze will lovingly fill your mouth with a wonderful melting sensation. Al Capone was a notorious gangster thug and ruthless thief who ruled a criminal empire. 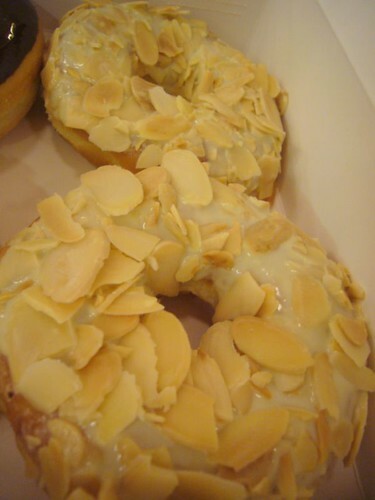 He was the most sought after man back then, the Belgium chocolate meet Californian crunchy almond donut was name as such because it is the ‘Most Wanted’ donut at J.Co. 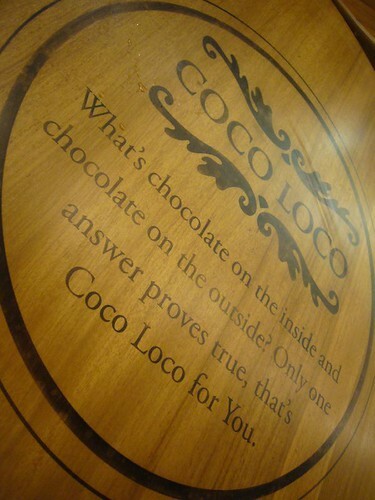 Coco Loco with dark chocolate inside and out. Do not attempt to bite this on your first date, as the yummylicious bitter sweet dark chocolate filling will spill over. Why nut is another variation with American peanut butter filling and white chocolate toppings. It could be a staple food because the peanut butter is so rich and satisfying. Cheese me up, with New Zealand cheese on top and teeny weeny bits of chives won the guys’ vote. Savoury donut is really something for a change. Miss Green T – The Japanese Matcha is tremendously intense sweetness and has a very deep flavour. One of my favourite flavour! Verdict: These colourful and evil little rings are sweet and tasty, especially with the freeze (ice blended). The donut it self is cotton soft, cushy and fluffy. The glazing and toppings are sweeter as compared to the Big Apple’s, which someone with sweet tooth like me would love it. My top pick would be Alcapone, Miss Green T and Coco Loco while the Glazzy is a tad too sweet for my liking. One will be in great dilemma because there are so many varieties of donut to select a favorite from. Miss Intan told us that you an actually tell the roving donut boys that you would wana have Top 3, Top 6, Top 12 or even Top 24 where they will drop the best selling flavours into your box. *prices above are subjected to 5% gov tax. OMG! Those sweetie rings are so gorgeous that I stuff myself at least a dozen at one go! Truely heaven! boohoo…. so sad that i couldn’t make it on monday night to join you people sobzzz…. thanks very much to my throat and also my swollen toe! 🙁 🙁 hope that i have da time to visit them soon! I love Miss Green T! Dunkin Donuts can say bubbai. I never did like DUnkins. 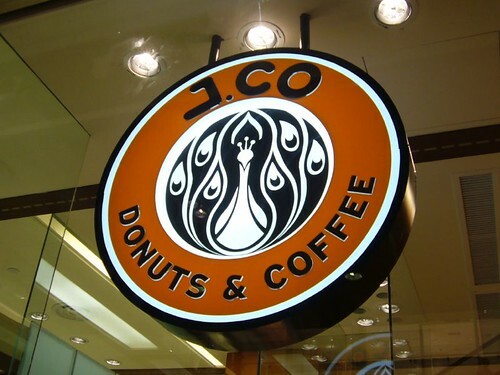 JCo’s donuts melts in your mouth. So utterly delicious! Next for them to open is Krispy Kreme! 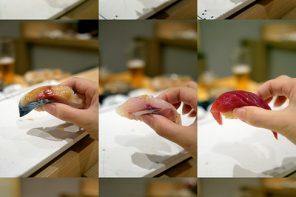 sad sad sad….. i wan to try!! 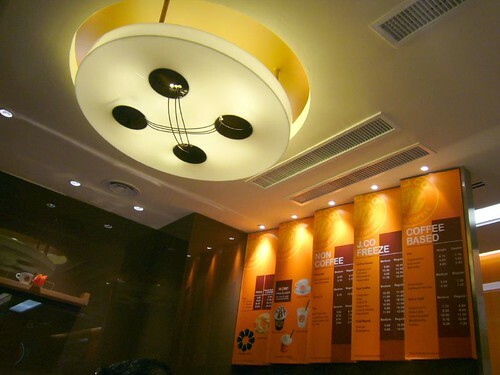 I passed by J.Co on a weekday and this place is filled up! So gonna try the next time when I’m in pavillion!! im still sore over the exorbitant car park prices that they supposedly charge so till now i have yet to peak in..so free donuts to try? 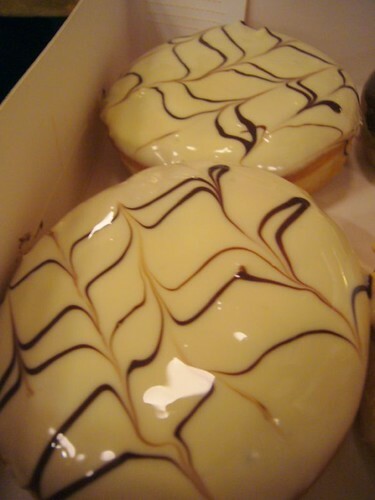 yes..i cant wait for krispy kremes to come..
ling: yeah, we malaysians were given a choice when it comes to donuts..hurray! jason: yeah it was crazy even on a weekday! jackson: haha the PR girl is very pretty!!!!! Everytime I go.. i never fail not to buy them. Always end up buying 2 dozen as all my colleagues also crave for it. aiwei: yeah take all 34 flavours hehe! hi. i’ve read ur post about J.co Donuts in the star newspaper, sunday metro, 28th Oct 07 and also ur post in blogspot. ” The donut it self is cotton soft, cushy and fluffy. The glazing and toppings are sweeter as compared to the Big Apple’s, which someone with sweet tooth like me would love it. ” firstly, have u ever tried BigApple donuts before? if u had, thats good. but i do not think that the phrase that u wrote is suitable because its just from ur perspective or ur point of view, but not from all of us. mostly malaysians loves J.co because BigApple donuts are not situated in well known places such as Midvalley, Bukit Bintang, etc.. you can claim that the taste are “similiar” or “equally good” but not “better” or “compared” to. because it gives a hard feeling to someone. babayiloveu: first of all, thanks for dropping by. yeah i’ve tried big apple numerous time in fact, as i stayed around that area and big apple is always more easily accessible whenever i need some sweet fix. actually the fans for big apple for jco are equal. 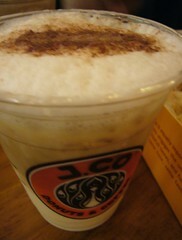 some prefer big apple’s donut becoz its less sweet while some love jco’s donut which is softer. at the end of the day, it pretty much depends on your own taste bud and preference. heyy. im backk =) today i gave a chance to try out J.Co’s Donut again. They dissapointed me. because, when i bought this donut which is chocolate with peanut topping. and i found out that, the bottom of the donut is TOO SOFT and soaked with oil. and i even had hard time grabbing it because it is as soft as “tau foo far.” i went to the manager, she said “ohh, its the same. its because of the sugar. its normal.” in fact, she talked to me in a very rude way. their donuts tends to loose quality when they crowd is getting big. and can u imagine their donut tray that are displyed was firstly filled with green tea flavour donuts and replaced the excess green tea donuts with double chocolate donuts. 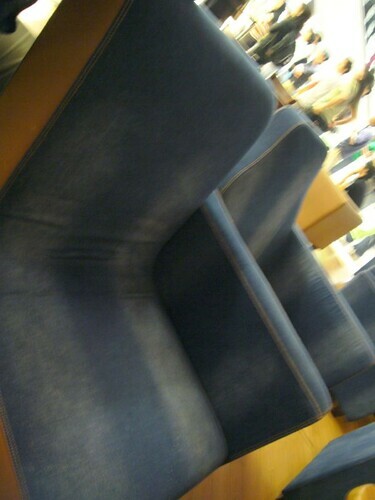 i think that its not that hygenic. 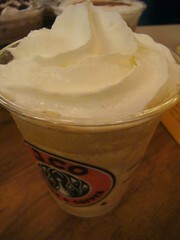 by the way, sweetness i think its the same =) maybe ur taste bud more sensitive to sweet taste. =) lols. no offence! 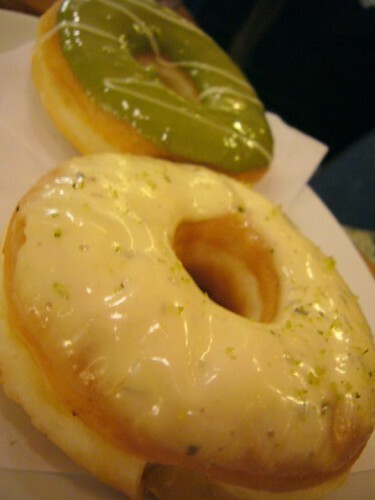 J.CO donuts…hmmmmm i tried it 1st time when i’m in Jakarta & Bandung.. so dam delicious..